SOREFAME – Sociedades Reunidas de Fabricações Metálicas, S.A.R.L. 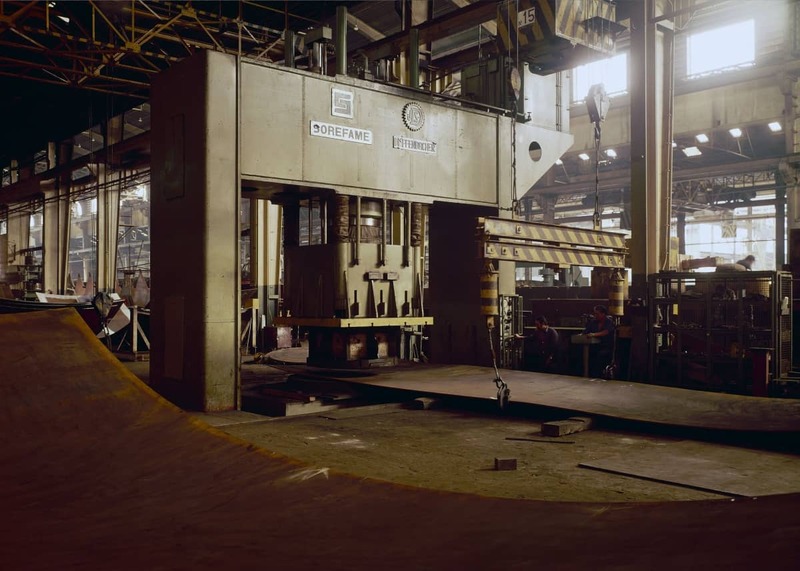 was probably a company that forever marked the industrial history of Portugal, not only by what it produced but, also for the tremendous know-how and manufacture expertise acquired that made it a reference in our industrial heritage. The importance and innovation brought by Sorefame is still very much alive today and present in all the infrastructures it helped created. Sorefame was founded in 23 July 1943 by the Portuguese engineer Ângelo Fortes and aggregated several small metalworking companies. The newly founded company would be a pole of knowledge and technical capabilities concentrating the metal construction business itself in one solid company. Ângelo Fortes was a man with profound industrial expertise and knowledge and sharp business skills that helped him identifying and trace the path that the company should take in a social-politic framework very difficult and almost adverse in those days. II World War was at the peak of the conflict and Portugal was in a pronounced financial crisis and the regime knew that the country had to adjust and adapt the dim industrial sector. Poor in knowledge and lacking in strategy. Ferreira Dias (1900-1966) designed the strategic plan for the industrialization of Portugal, setting the development framework for the Portuguese industry. The mission of Sorefame was ambitious , to provide Portugal and the metalworking sector a fast industrial progress and advance, based on profound know-how and advanced technical and industrial skills, preparing therefore the country for the years to come in a glimpse of what would be the demands of the embryonic unified Europe. 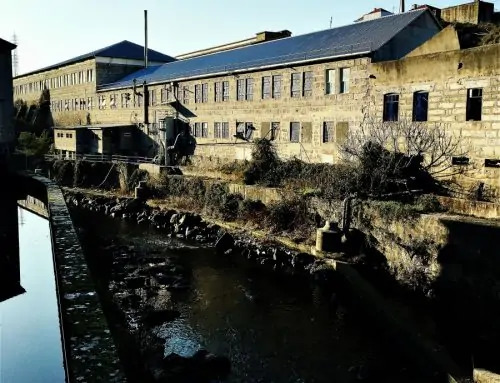 The first business area of Sorefame was the production of hydromechanical equipment to satisfy the growing demand of the hydroelectric program of Portugal, demanding the construction of a considerable amount of dams throughout the country for the electrical infrastructure. Neyrpic (a French company and main shareholder with a long tradition in big hydro equipment) would provide much of the technical know-how. In the next decade, Sorefame would expand it’s business area and, begin to complement the already recognized skills on hydro equipment production and entered it to the production of core dam components like turbines and other key elements. At the same time, the national rail transport company CP – Companhia dos Caminhos de Ferro Portugueses started an ambitious process of update and electrification of the railway in the urban area of Lisbon, considered a top priority, maintaining the intent of using railcars with metallic structure similar to the existing rolling stock. Sorefame saw the modernization of CP an opportunity and entered in contact with the American, Budd Company (today thyssenkrupp) who was the patent holder of the corrugated stainless steel production (Cor-rib) for rail rolling stock. An agreement was made and it was the start of a long technical interchange between the two parts. Rolling stock manufacturing infrastructure was created in the Amadora factory to start production of the newly licensed rail cars. The first units produced were 3 UTE for the Sintra rail line in, the transient period between non-electric / electric railway. Supply of the new electrical units for the urban area would be in charge of a newly created consortium Groupement d’Etude et d’Electrification des Chemins de Fer en Monophase 50hz . The consortium build a monopoly on the provision of all the electrical rail units that would be supplied to CP, with units being assembled in the Sorefame facilities in Amadora. Rail rolling stock was a demanding business and technical consulting from numerous companies were often asked to ensure that all the quality aspects of the products were fulfilled. Know-how interchange brought numerous advantages to the company which grew more and more independent from outside advice. 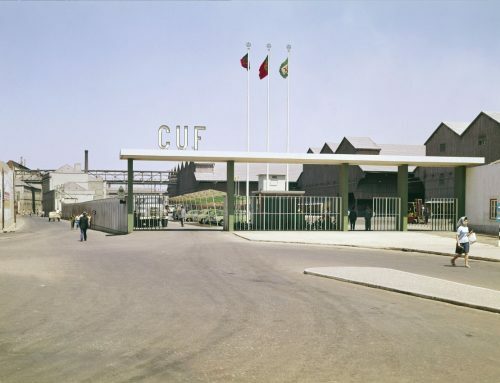 In 1957, the first electrical units of the CP/2000 series left the Amadora factory. By 1960, the company advance to establish a fully independent quality control system to assist production and, a multi-disciplinary department dedicated to research and development (DID – Departamento de Investigação e Desenvolvimento), mechanical testing facility and a chemical and metallurgy laboratory, advanced IT simulation and scenery prediction. All these quality control infrastructures were fully operational over the next decade. CCFL – Companhia Carris de Ferro de Lisboa the tram company of Lisbon metropolitan area showed interest in maintaining their steel casket rail vehicles (Linke-Hofmann-Busch) several units of the same kind (using Carbon Steel construction) were ordered to Sorefame. Later, CCFL changed to stainless steel cor-rib as it would provide improved longevity and service continuity. The 60’s were to Sorefame a period of statement with a multitude of rolling stock products leaving the factory for both national and international customers like the Chicago Transit Authority, through Boeing request. Most of the rolling stock material would be consumed by CP, pushed by the government, under the III major plan for industrial development (1968-1973), dictated by the state regime. It’s in the 70’s decade that Sorefame saw it’s major production peak, with major contracts signed to produce most of the rolling stock circulating in Portugal, exportations were also assured by international contracts like Rhodesia, Sudan, Angola, Mozambique and many others. Dam equipment production was also at it’s peak with both international and domestic contracts assured in Africa, Middle East, and the Americas. Since 1969, the company was enrolled in the construction of one of the most powerful dams in Africa – Cahora Bassa, in the Zambezi river , Mozambique (at that time a Portuguese Colony), with an amazing installed power of 2GW, from five Francis turbines. By mid 70’s Portugal faced a political change and, in 25 April 1974 a peaceful revolution took place. It’s the end of Estado Novo regime and the beginning of free democracy. Times were troubled. Politics shifted from what was considered by many as a fascist regime to a left wing political attitude. Most of the major companies existing in Portugal suffered some kind of consequences due to the radicalization of attitude from their workers demanding better wages and better conditions¹. Most of the big contracts, (rail and dam operations) made during the previous government were cancelled or declared void. At the same time, the Central Bank stoped the financing of projects to less developed countries. Portugal resigned it’s colonies and left the occupied areas, presence mostly noticed in Africa, the major export market. Sorefame, who had made substantial investments in order to fulfill the contracts is now loosing them and at the same time increasing it’s operational costs due to the new demands made by it’s workers. The situation would never be the same and the company entered in a decline period till finally in 2001 was extinct². It’s almost immeasurable the importance and impact of a company like Sorefame had in Portugal and it’s society. The legacy is present in our every day life from transportation by means of the railcars it produced and in continued operation since then throughout the country, moving thousand of people and cargo. Sorefame is present in the energy produced by the hydroelectric equipments constructed and that power our houses everyday, in Portugal and abroad. Perhaps the most important kind of legacy the Sorefame left is the educational aspect it provided to the many persons that passed it’s professional career working for the company, extremely skilled professionals, committed and proud. Steel was killed by profit, craftsmanship was replaced by numbers. Nothing would ever be the same. There would be no company like that in Portugal. Sorefame become an industrial icon. The impact and consequences brought by 25 April 1974 revolution is beyond the scope of the present article. Although in a troubled situation, Sorefame continued it’s operation during that period. The company was now divided in the traditional rolling stock business and a newly formed company Hidrosorefame responsible of the hydroelectric business.